Is this what paradise looks like? The film depicts a Prince, who has the vision to feed the world with organic agriculture and heal damaged nature. Alongside his charismatic farm manager David Wilson, he has been pursuing this goal for 30 years. Through poetically impressive images, this unique collaboration portrays how organic agriculture works, and the benefits that emanate from it. Bertram Verhaag observed these two visionaries over the course of five years - through all four seasons. 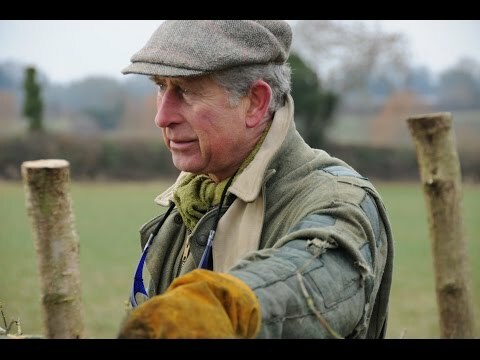 The Prince of Wales already felt strongly about the concept of organic and sustainable farming long before the word “sustainability” was on everyone’s lips. More than 30 years ago, he realised that other farmers could only be swayed to cultivate their land without poisons and in harmony with nature, if they were presented with a practical example. This example turned into an exceptional success and now, farmers from all over the United Kingdom travel to the Duchy Home Farm, to gather the courage and knowledge they need, to convert to organic themselves. Prince Charles appears in an entirely unusual light, which forces the viewer to throw all prejudices towards him and organic agriculture overboard. A positive, intelligent and inspiring film that shows many positive examples of organic farming methods. "The Farmer and his Prince“ treats a familiar topic and allows the viewers to draw connections to their own lives. The film sees environment as an ecological basis and source for life. The journalistic performance is good: the film is packed with information and contexts are well explained. Moreover, "The Farmer and his Prince“ includes many empirical examples that make the impact of human activities on our planet clear. "The Farmer and his Prince“ encourages viewers to act and awakens a feeling of respect and appreciation for our natural environment. Moreover, the film teaches responsibility toward ourselves and toward others. The film is easy to follow but not very exciting. The images are beautiful and informative. Editing, camera work and soundtrack are good.